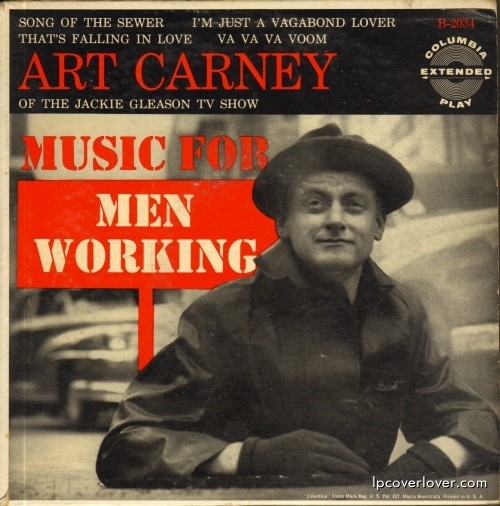 Art Carney “Music for Men Working” A Columbia Records EP (1955) Sidekick and neighbor Ed Norton to Jackie Gleason’s Ralph Kramden on the Honeymooners. Seen here popping out of a manhole cover and singing “Song of the Sewer” (on the Honeymooner’s he worked in the sewers and called himself “an unground sanitation expert”). Carney died in 2002. 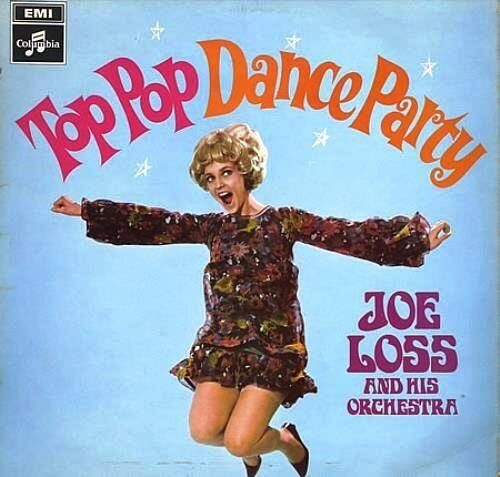 He won a Best Actor Academy Award for his performance in 1974’s “Harry and Tonto”. Here he is teaching Ralph to dance the “Hucklebuck”! I had a promo 45 of “Song of the Sewer/Va-va-va-voom!” Carney sings them in character as Norton, and they’re fun. One more “Norton song” he recorded was “Sheesh, What a Grouch!” which was on another 45 I found, and not on that EP for some reason.